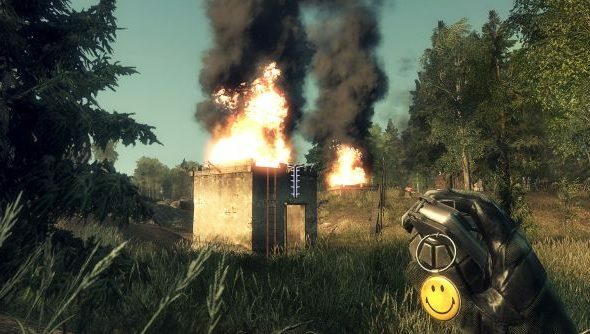 The Bad Company series will return, and with it the “creative freedom” DICE have repressed for their po-faced numerical Battlefield sequels. But not until Mirror’s Edge 2 and Star Wars: Battlefront are out of the way. “My feeling is that I would love to do it,” said DICE creative director Lars Gustavsson of a third Bad Company. DICE are now a multi-project studio with new staff in LA, but all hands are currently filled by either the Battlefield 4 beta or one of the two games unveiled at E3 this year – Mirror’s Edge 2 and Battlefront. That’s the fictional team, for clarity, not the developers of Bad Company – it seems sensible to assume they’ve been working full time on other projects since 2010, when the last game in the sub-series was released. Although it’s worth noting that Bad Company lead writer David Goldfarb is now employed at Overkill, where he led development on the excellent but buggy Payday 2. A Bad Company TV series was ordered into being last year, so EA evidently see some worth in the old name. EA’s Frank Gibeau said in August that the publisher plans to rotate between three shooters in the coming years: Battlefield, Titanfall and Battlefront. Sounds exhausting – but that should give DICE a modicum of breathing room between iterations. What would you like to see resolved in a new Bad Company? A plot point? The tonal shift between the two games? Something else?